Rider: Jason King. Today we repeated the nice route that we did on Saturday. The two north-facing descents were perfect mid-winter-esque powder goodness; however, hiking up along the ridgeline involved some suffering in perhaps the coldest temperatures I’ve ever experienced. Dangerously cold. Too cold for human beings in their right minds, I think. 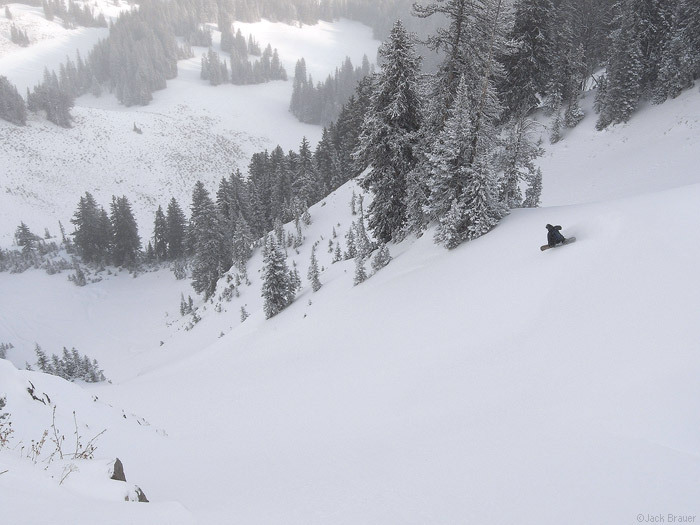 But we persevered and scored some sweet pow lines… along with a bit of frostbite. 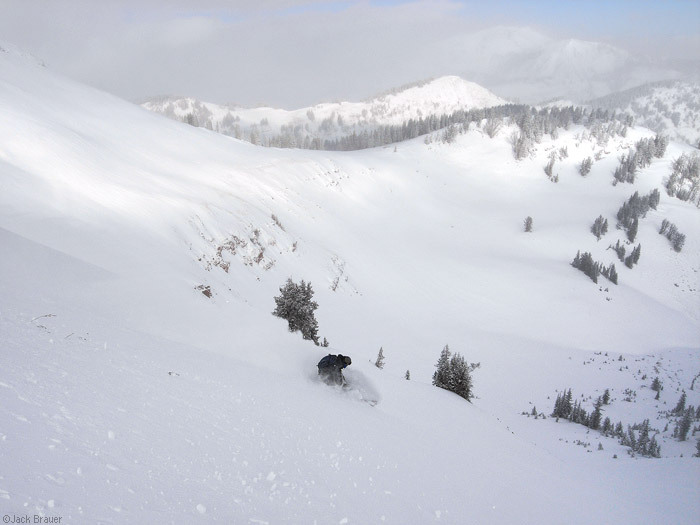 Posted in Skiing/Snowboarding and tagged Tetons, Wyoming on December 9, 2009 May 19, 2013 by Jack Brauer. I feel ya there, I am sick of this cold, low of -16 tonight here, after getting 14″ of snow too, ugh. Grand Junction set a record last night of minus 16, don’t know what Ouray had, but I can guarantee it was cold. I’m snowed out and snowed in in Glenwood Springs. Stay warm, pardner, up in those Wyoming peaks.